They say that the eyes are the windows of the soul. 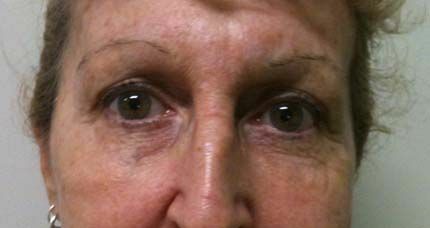 Certainly they are one of the most beautiful features of the face and one of the most cosmetically difficult to treat. 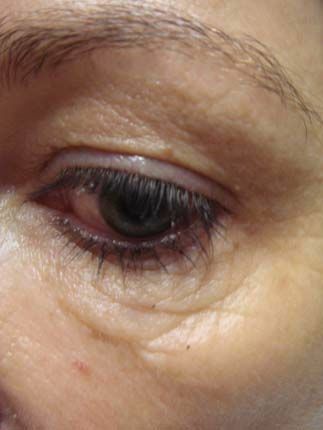 The eye area ages in 4 ways, which require separate types of treatments. 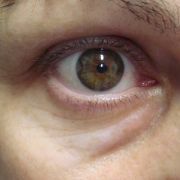 The first aspect is the “crows feet” lines seen around the eyes. This is from the folding of skin that occurs when the eyes shut. 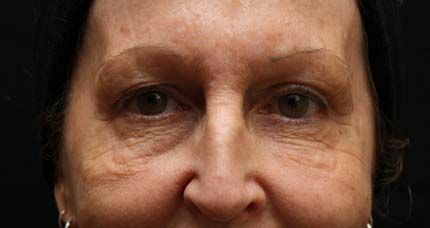 This dynamic movement must be treated at the muscular level and wrinkle relaxers are the solution. 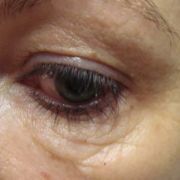 The second ageing feature is the loose skin seen on the eyelids and under them. If extensive then a simple surgery called “blephroplasty” is the only real option. If the skin is mildly to moderately lax then treatments designed to improve the skin thickness and tighten via inducing collagen are needed. There are two options here. The first is using the body’s own plasma, plasma collagen induction therapy, to naturally stimulate tightening. Blood is removed, spun to concentrate and re-injected back under the eye area. Three treatments are needed spaced at one month apart. 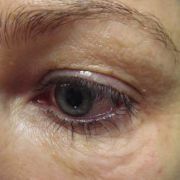 Results continue to improve for up to 12 months and maintenance can be continued with 1 or 2 treatments per year. 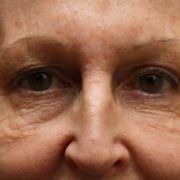 The second option is the Gold Standard skin tightening treatment of Thermage CPT. Here radio-frequency waves are passed into the skin to stimulate collagen production. This is extremely popular among the rich and famous as there is no downtime and takes only about an hour. Again results continue to improve for up to 12 months. 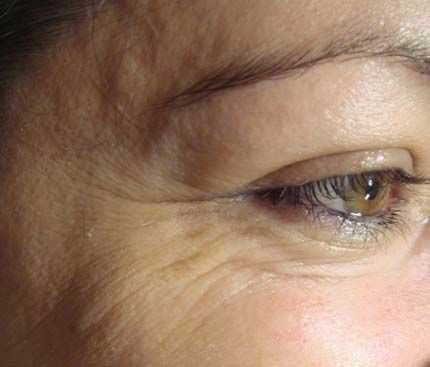 The third ageing process seen in the eye area is the hollows under the eyes. 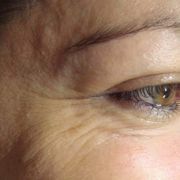 This is caused by the loss of both collagen and fat to the area. 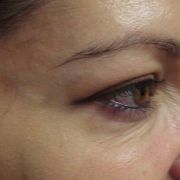 This is treated by the use of a wrinkle filler product. It is important to go slow in the area and use small amounts to elevate the depression, as overfilling can be difficult to correct. We recommend no more than 1ml per treatment. If more is needed it is prudent to return at a later date, once the previous treatment has settled. It should be remembered that any injectable treatment, no matter how skilled or careful the injector, could cause a bruise. 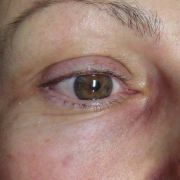 This delicate eye area and the shape of the bony orbit can see a bruise track into a black eye. Never treat within 2 weeks of an important event. 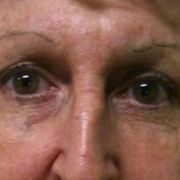 The complex eye area should only be treated by an experienced practioners especially when filling. 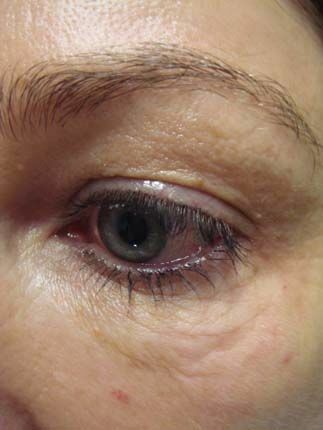 The final ageing complaint of the eye area is the darkening seen under eyes. This is often genetic and especially seen in darker skins. It is not generally the result of increased melanin as seen with sun exposure but rather deposits of iron (haemoglobin) leaching out from the blood vessels. 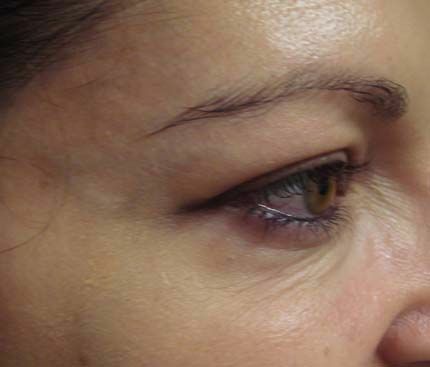 This is difficult to remove but can be improved by plasma therapy which rejuvenates the skin and with medical strength creams to fade the area. We could also mention here that pigmentation and redness from the sun is often seen as demarcation lines where sun glasses have been worn. This can be treated with intense pulse light therapy and avoided by varying the shape of sunglasses being worn. 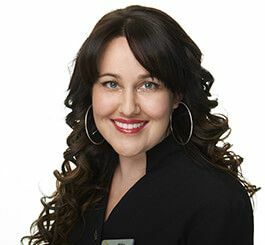 The ARGERA Centre regularly treats the under eye area and Dr Argie will be able to accurately assess the individual’s needs.